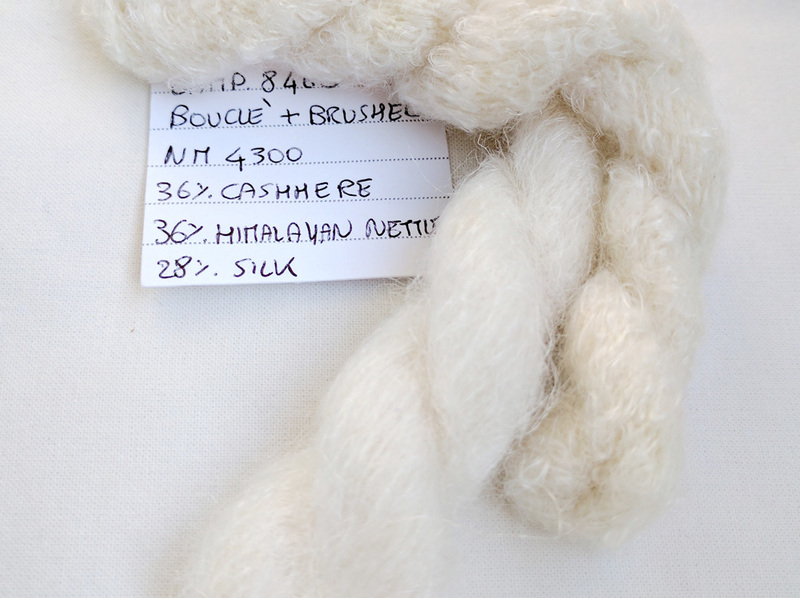 Himalayan Wild Fibers manufactures and sells textile fiber extracted from a plant that grows wild in the mountain forests of the Himalayas. Our fair payment for raw material creates income for villagers who grow crops and keep animals on subsistence farms terraced into the steep terrain of the mountains. They wild-harvest the raw material in the off-season without disruption to their farm activities. Our appropriate technology extraction process creates jobs for those who live at lower altitudes and need regular work to support their families. Wild-growing, giant Himalayan stinging nettle is a perfectly sustainable rhizome, with shoots annually reaching over three meters in height. Harvesting the vertical stalks clears out one year’s growth, making room for new leafy and healthy shoots in the next year to better absorb CO2. It also promotes root growth for soil stabilization in landslide prone mountains. Climate in the Himalayas affects the entire world. Forestry professionals believe the collection of our raw material – the removal of dead stalks – could very well have a net positive impact on this mountain environment. 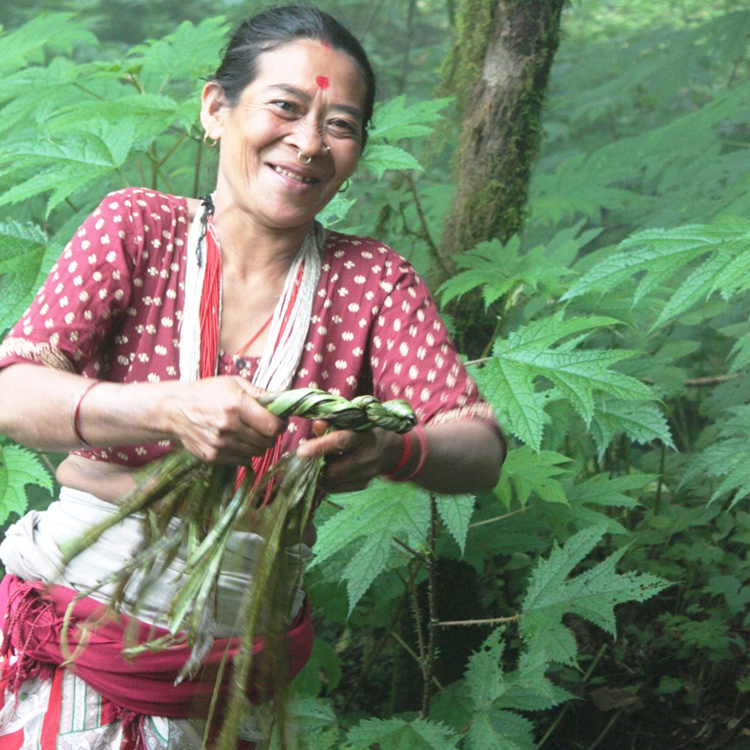 Devi Maya Thami collecting Himalayan nettle. 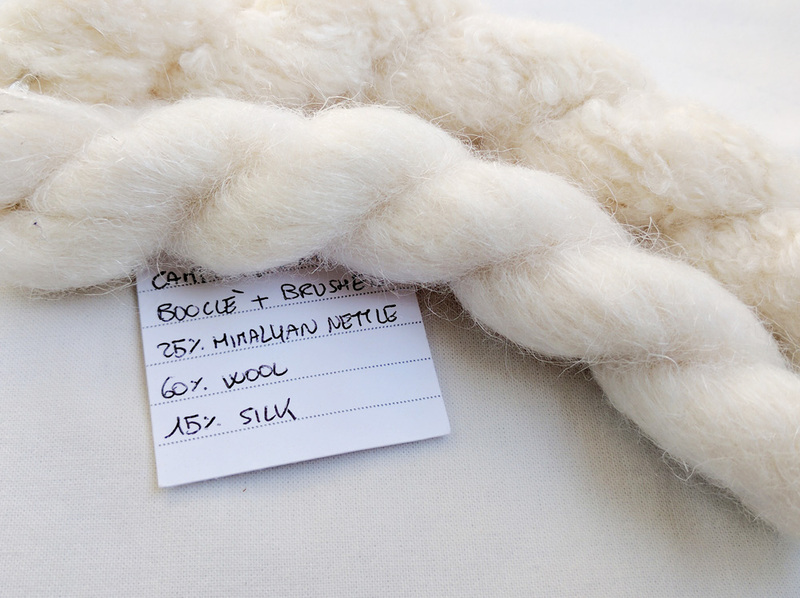 Using a proprietary extraction process, we produce a lustrous, long fiber that is spun by commercial mills to produce beautiful, unusual yarns for use in luxury interiors and high-end apparel. 100% Himalayan nettle denim has been developed in Europe. Please note that we are a fiber company. We do not manufacture yarn or fabric. For updates on material suppliers in the market please sign up for our newsletter at the top of the page.